mwe3: When and where was the music on Explorer Of Life written and recorded and where does the album find your writing and recording style in 2017? How does Explorer Of Life compare both sound wise and compositionally with your last album Wind Of The Eastern Sea? 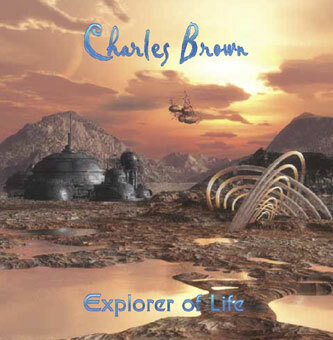 Charles Brown: I've been working on the songs for Explorer Of Life for almost a couple of years. Most of it was recorded at my own personal studio, but some parts were done at the studio that Yarrow, the blues/classic rock band I also perform with, uses. Explorer Of Life is more of a collection of individual songs compared to Wind of the Eastern Sea, which was mostly one long composition with themes and motifs. mwe3: How did you choose the name Explorer Of Life as the title of the new album and tell us something about the title track fits into the Explorer Of Life concept and vibe. Are you an explorer of life and the concepts of the art of progressive instrumental music? Is that how you want to be seen and heard? Charles Brown: Explorer Of Life is the concept of exploring the meaning of, and the brilliance of LIFE, as well as our journey through life and all that we experience. The title track conveys this concept as it has different sections and textures it travels through. I love working with and exploring progressive music, and would like to be seen as a Progressive musician. mwe3: Who else was involved in the recording and production Explorer Of Life and were there other musicians involved? On Wind Of The Eastern Sea you worked with Bill Boerder and Steve Espinosa, were they or other players involved this time as well? There's an amazing, full-bodied sound on Explorer Of Life. Charles Brown: Steve Espinosa did keyboards and textures. Hes done music for the Food Network previously, and has worked with jazz artists in the Denver area. Bill Boerder helped with additional engineering. We used a combination of our Pro Tools systems, along with AKG & Audio Technica mics, and Lexicon Processing. mwe3: Explorer Of Life starts off with the title track. Does the title track work as an overture of sorts? Charles Brown: It could be thought of as a type of overture, but I wanted the songs to be individual pieces instead of a full blown, complex concept album. mwe3: Parallel Journey makes a great segue from Explorer Of Life and it mixes acoustic guitars with the main themes which come in on electric guitars. Tell us about the power of the guitar in your music when you mix acoustic and electric as you do on Parallel Journey. Charles Brown: The guitar is the basis for the song ideas. 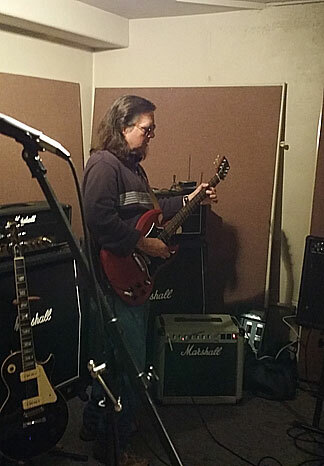 Ive been really influenced by the progressive and classic rock bands that combine acoustic elements with straight ahead electric and rock textures like Alex Lifeson, Pat Metheny, Marillion, and even Iron Maiden! mwe3: Ecliptic Voyage starts off with another acoustic interlude before the rock sound kicks in. Is that style of mixing acoustic guitars with electrics missing from music these days? The main theme is one of your best yet and tell us how you invented the ending of the track. its just that you tend to gravitate towards the music and artists that have influenced you. mwe3: Would you say that New Horizon is more prog-rock in nature than some of the other Explorer Of Life tracks? Tell us about the synth sounds on New Horizon. 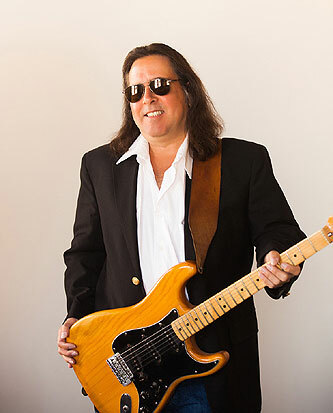 Charles Brown: The melody lines in New Horizon are a combination of straight guitar and guitar synth. It was put together over a straight chord pattern, with guitar synth textures added to make the sound larger. mwe3: Tell us about your new version of the Bach Prelude. How big an influence was Bach on your music and guitar work and why did you choose this piece to cover? Charles Brown: J.S. Bach is one of my favorite classical composers. He wrote such beautiful melodies and harmonies. The Prelude from the 1st Cello suite is a pretty well known piece, and is somewhat easier than the more difficult pieces. Theres still a few rough spots, but I wanted to show a bit of the classical side. mwe3: Above The Mist is another acoustic driven cut on Explorer Of Life. What can you tell us about your decision to inject the acoustic sound of Above The Mist? Charles Brown: That one is in DADGAD tuning, which Jimmy Page used in a lot of the Led Zeppelin acoustic stuff. The keyboard part in the middle is classical sounding with almost a counterpoint effect. mwe3: Is there a story behind wanting to make Wind Of Darkness Suite a two part opus and is that the heaviest track youve ever done? Charles Brown: Wind Of Darkness was actually 2 pieces I combined together into a mini suite. The name came about from the Paris terrorist attacks last year or so. The images on the news coverage were so intense that it made me think it was like The Darkest Night. mwe3: Spectral Voyage is one of the most New Age type tracks on Explorer Of Life. It has a very outer space type vibe to it. Charles Brown: That one is very Pink Floyd-like, with a Pat Metheny guitar-synth inspired middle section. The chord textures and guitar lines are kind of David Gilmour inspired. mwe3: When The Sun Rises is a great way to close the album out. Short but sweet. Charles Brown: I wanted to end with something acoustic and melodic after all the heavy guitar and guitar synth pieces. Its fairly simple acoustic finger-picking, with some guitar synth pads added to fatten it up a bit. mwe3: Can you tell us what guitars were used on Explorer Of Life and if there was any new technology implemented during the recording process? How do you try to improve your recording sound from album to album? Charles Brown: The main guitars were Fender Strat, Gibson SG and Les Paul with mainly Marshall amps for the electric stuff. I have another Fender Strat with a MIDI pickup for the Guitar synth. The acoustic is a cheapo line that Martin used to make called Vega, and my classical is a Yamaha. I think the way to keep improving is to mess around with new sounds and ideas. Some things work, and some dont, but that helps keep you fresh. mwe3: How many albums have you recorded so far and I know you might be planning a kind of Charles Brown anthology CD in the near future. What might that look like? Where would it start and where might it conclude? Charles Brown: Ive kind of lost count! I think around 7 or 8. Im thinking of doing some type of anthology that would include a cross section of much of what Ive done so people can sample my past work. It would probably include a few new things as well. mwe3: Where do you see Explorer Of Life fitting into both the progressive rock instrumental world as well as the guitar sound of the 21st century. What audiences are you trying to reach and what do you hope listeners will feel after exploring Explorer Of Life? 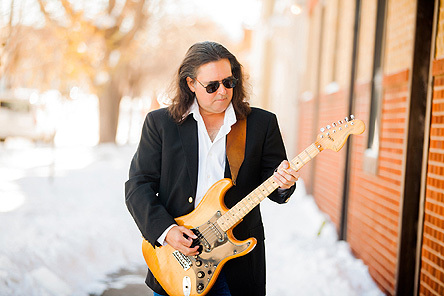 Charles Brown: Explorer of Life has Progressive and straight ahead rock elements that would appeal to fans of hard hitting guitar work, as well as fans who enjoy progressive music with melodies and changing time signatures, as well as different textures. I would hope the listeners will feel like they've been on a journey through a variety of textures and styles.